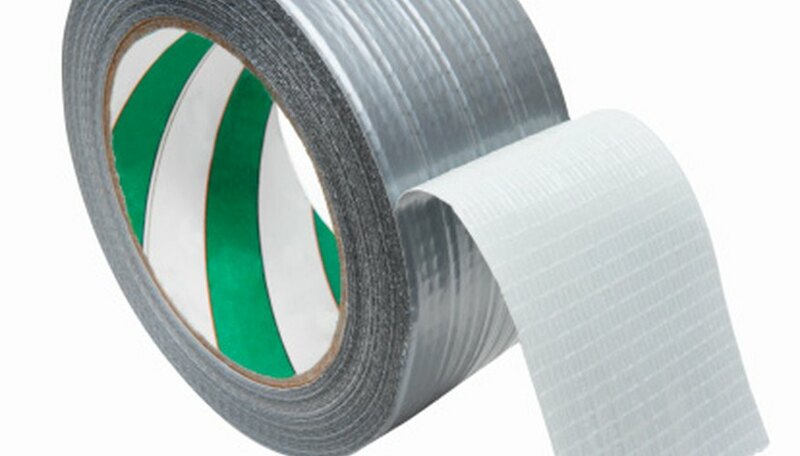 Duct tape has long been popular among fans of do-it-yourself projects and hobbyists because of its strong bond and convenience. Duct tape is versatile and cost effective. Duct tape creations have become more and more popular, even spawning a well-known "make your own" duct tape prom outfit contest. Whether you want a funny conversation piece in your wardrobe, or you're looking to perfect your duct tape outfit, a duct tape bow tie is essential. In a few simple steps, you'll be on your way to sporting your handmade duct tape bow tie. Cut one strip of duct tape from the roll that is twice the length you want your bow tie to be. Bow ties tend to be about four to five inches wide, so a strip between eight and ten inches long should work. For a taller bow tie with oversized edges, cut another strip of the same size, then overlap the two by about half an inch. Flip the duct tape over, so the sticky side is up. Fold each end into the middle of the duct tape strip(s), so the ends touch in the center. Be sure not overlap the ends when sticking the duct tape to itself. Flip the duct tape back over to the front side. If you wish to add a pattern or decoration to your bow tie, do so now using the same or different colors of duct tape. Pinch the bow tie in the middle, squishing where the edges touch each other in the back. Flip the bow tie over and decide what color you want the middle to be. Cut a two- to three-inch strip of duct tape from the roll, then cut it in half lengthwise. Stick the beginning of the strip to the back of the bow tie and attach one layer to the front, holding the pinched middle in place. If you're using a clip-on fastener, hold it to the back of the bow tie and finish wrapping the middle strip of duct tape around the bow tie. Use contrasting colors of duct tape to make your designs or patterns on your bow tie pop.